petalite is called the "Stone of the Angels" and can help us connect to our angels, ancient civilizations, our spirit guides and totem animals. Measures 40mm including the bail. 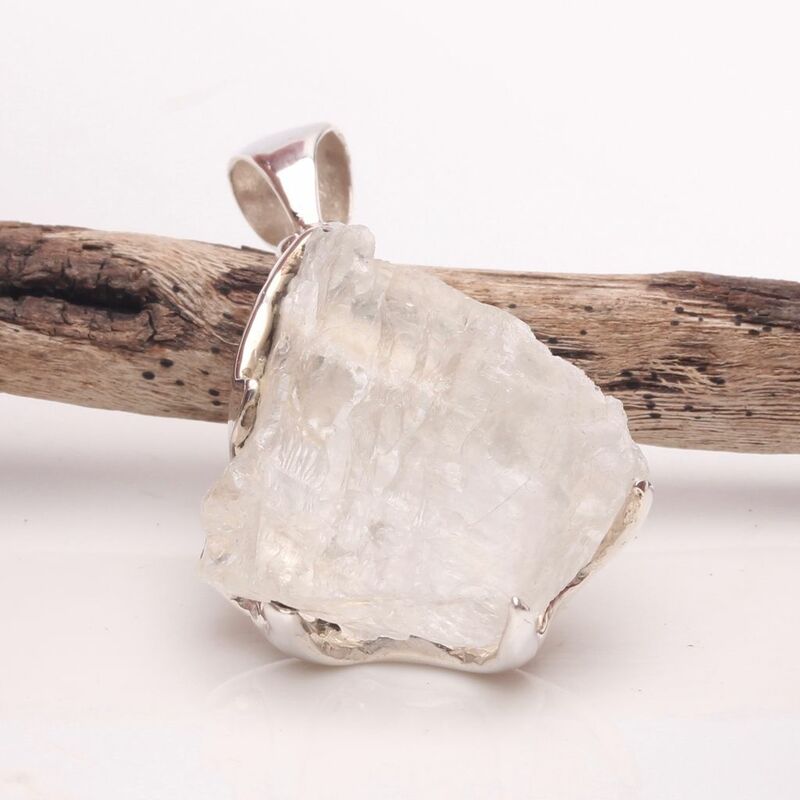 Petalite has been called the "Stone of the Angels" and can help us connect to our angels, ancient civilizations, our spirit guides and totem animals. It has been used in medicine wheels and been carried during vision quests by Native Americans. Petalite helps bring a safe environment for spiritual contact as well as enhance communication. Helps bring peace, calm, alertness, protection and success during the vision quest and astral travelling. Petalite is considered a very protective stone and helps bring goodness and peace of mind to ourselves. It can help us to see the physical sign of auras as well as soothe and smooth the aura. It can help stimulate the throat chakra and help us speak clearly and precisely. Petalite also helps open and bring movement of the Kundalini. It has been used to stimulate, clairaudience, clairvoyance, clairsentience and telepathic communication. During meditation Petalite can help bring the peace and relaxation that meditation can give us. It helps ground us during spiritual and energy work. 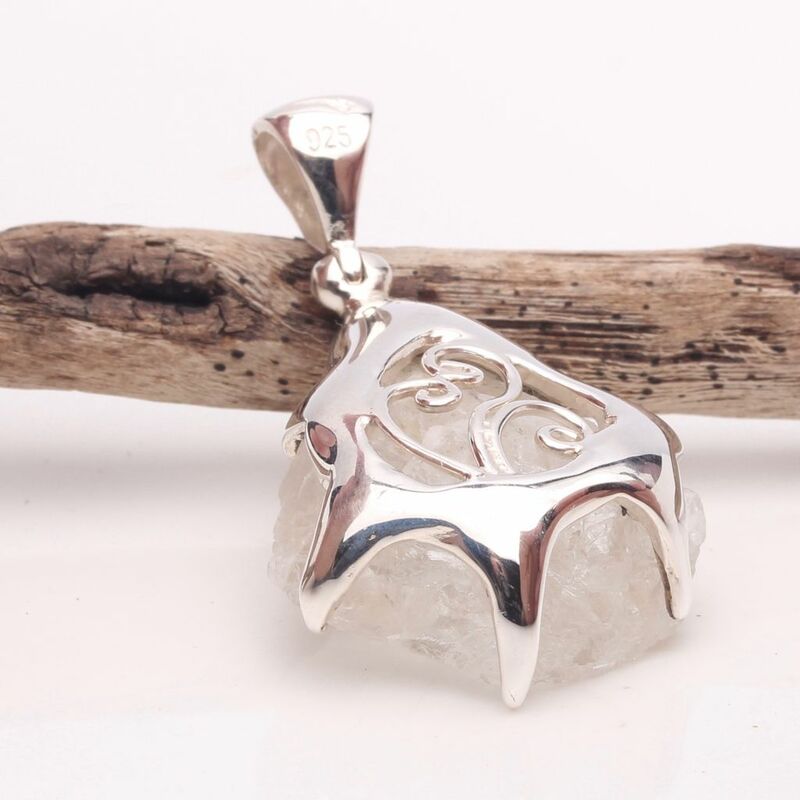 Petalite is often known as " Angel stone" because it enhances angelic connection. With a high pure vibration Petalite crystal opens to cosmic consciousness. Its is particularly useful for ancestral and family healing. Petalite is a shamanic stone. It provides a safe environment for spiritual contact or for a vision quest.